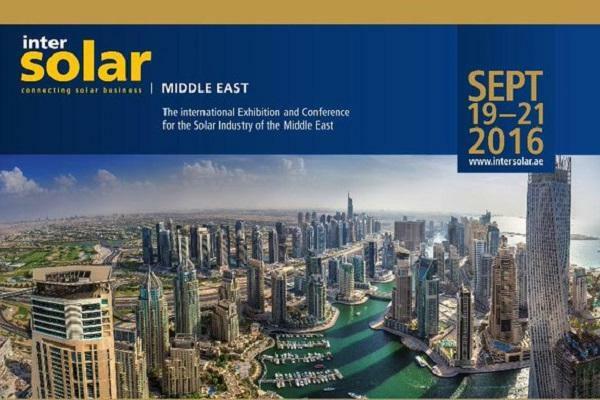 EUROSOL is once again present in Intersolar Middle East, one of the major events promoting solar technologies in M.E.A. countries and a unique opportunity for market stakeholders to meet and interact with industry leaders. In a time when the future energy landscape in the region is shaping up with solar-generated power playing a determinant role, visitors will be exposed to the most advanced technology and business concepts defining the industry. EUROSOL is proud to co-exhibit with local partner Atlas Power Solutions of the Atlas Group, a key player with a strong technical background in the telecommunication and power generation fields in the UAE and MENA region, for more than 30 years. This year we will be focusing on Distributed Power Generation and Energy Storage, as well as Energy Efficiency solutions and services. In this context we will also be presenting our strategic cooperation with SUMEC Group a Tier-1 PV module manufacturer and supplier of industrial and consumer equipment. With our track record in the region and our international experience, we are ready to support customer requirements with comprehensive pre and after sales services, starting from FEE and detailed Designs and covering the entire EPC spectrum. We will be happy to meet you in our Stand B50 in Hall Z6. © 2016 EUROSOL, All Rights Reserved.